Robert Feist, owner of the Ravenswork commercial audio facility in Venice, California, in the Lost Planet control room. featuring a Genelec 5.1 system that includes three Genelec 8250A Bi-Amplified DSP Monitors making up the L-C-R array. Not pictured: a pair of Genelec 8240A Bi-Amplified DSP Monitors for the left and right rear surrounds, and a Genelec 7270A Active DSP Subwoofer. NATICK, MA, February 29, 2012 — Commercial media advertising has been a tough business for the last decade but many lucky talents have found ways to stay on top. When Robert Feist, owner of the three-room Ravenswork commercial audio facility in Venice, California, felt the economy’s pinch in recent years, he created synergy by moving his studio and its high-end commercial work into the space of a long-time collaborator, video editorial facility Lost Planet, in Santa Monica. Together, the two companies have increased their work at the high end of commercial media with top-level talent and technology. Part of that has been the inclusion, from the moment the new audio studio opened at Lost Planet last June, of a Genelec 5.1 surround monitoring system, consisting of three Genelec 8250A Bi-Amplified DSP Monitors for the L-C-R array, a pair of Genelec 8240A Bi-Amplified DSP Monitors for the left and right rear surrounds, and a Genelec 7270A Active DSP Subwoofer. Feist says that the Genelec surround monitoring system was put to the test immediately upon the opening of the room with the first commercial worked on there, promoting GRAMMY Award®-winning vocalist Beyoncé’s exclusive distribution arrangement with retailer Target. “The commercial had very critical audio requirements – the monitoring had to be perfect, consistent and accurate, and that’s just what the Genelecs gave me,” says Feist, who also uses a pair of Genelec 1029A speakers as desktop monitors. Since then, Feist and the Genelec speakers have applied their talents to other commercial projects for clients including Nike, Mazda, Google and Absolut Vodka, including Absolut’s award-winning “Absolut Blank” campaign that features over two dozen artists. For more information, please visit www.genelecusa.com/. 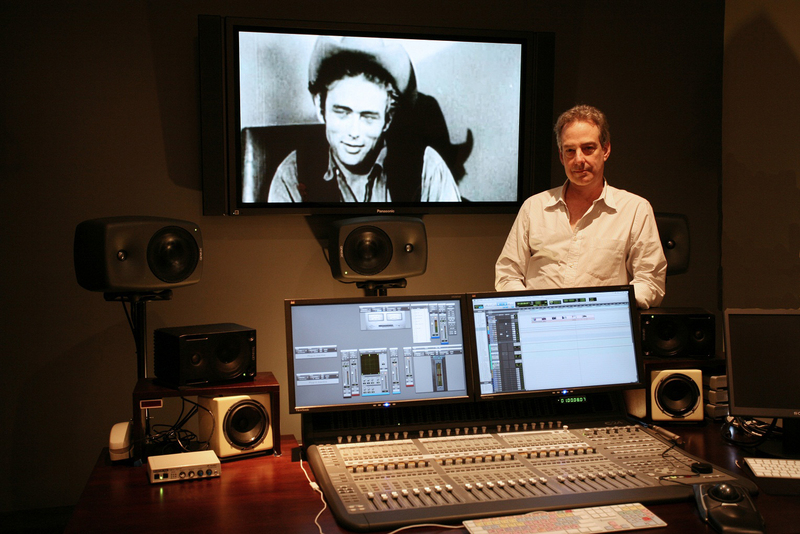 Photo Caption: Robert Feist, owner of the Ravenswork commercial audio facility in Venice, California, in the Lost Planet control room. featuring a Genelec 5.1 system that includes three Genelec 8250A Bi-Amplified DSP Monitors making up the L-C-R array. Not pictured: a pair of Genelec 8240A Bi-Amplified DSP Monitors for the left and right rear surrounds, and a Genelec 7270A Active DSP Subwoofer. Genelec, the pioneer in Active Monitoring technology, is celebrating over 30 years of designing and manufacturing active loudspeakers for true and accurate sound reproduction. Genelec is credited with promoting the concept of active transducer technology, which many manufacturers are just now incorporating into their products. Since its inception in 1978, Genelec has concentrated its efforts and resources into creating active monitors with unparalleled sonic integrity. The result is an active speaker system that has earned global acclaim for its accurate imaging, extremely high acoustic output from small enclosures, true high-fidelity with low distortion, and deep, rich bass. Other brand and product names may be trademarks of the respective companies with which they are associated. —For more information on the complete range of Genelec Active Monitoring Systems, contact: Genelec Inc., 7 Tech Circle, Natick, MA 01760. Tel: (508) 652-0900; Fax: (508) 652-0909; Web: http://www.genelecusa.com/.